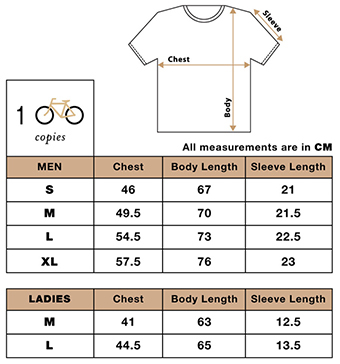 Print Quality: 1 Colour Silkscreen on 100% Cotton T-Shirt. 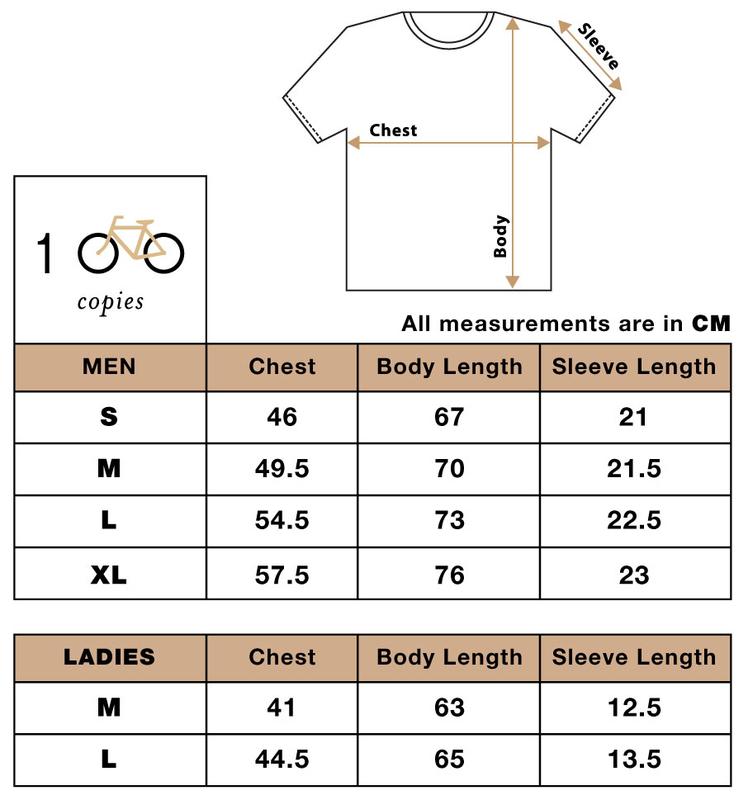 Please refer to the size chart below for correct measurements. Your T-shirts will be packed and delivered in Padded Envelopes. For orders of t-shirts and posters, both items will be carefully packed together in a Hard Tube. All items are delivered by Singapore Post. You can expect your orders in approximately 21 working days after confirmation of your payment by email.